Dave O’Brien, the “Sit With a Brit” guy who works for himself as a home care giver shared this article with me, I strongly suggest that you follow the link and read the whole thing. Its very concise giving the 7 emotions that will make elder care more difficult than it has to be while sabotaging the best efforts. In the first part of my book, You Can Keep Your Parents at Home (link) I talk about how to let go of these emotions and in my last 5 posts, I describe how to let go of resentment, specifically. 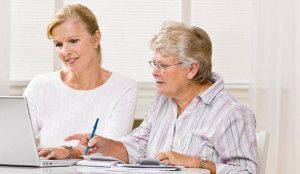 My method would work very well for all of these elder care pitfalls in the article. Spencer Scott writes that ‘guilt’, ‘resentment’, ‘anger’, ‘worry’, ‘loneliness’, ‘worry’ and ‘defensiveness’. I am sure that all of you have felt some or all of those emotions as you deal with the day to day of elder care. My previous 5 post deal specifically with resentment, but those points and the plan in the book can help you with the rest. The author has a very practical set up. First she defines the general causes of the emotion, then why it matters, how it hurts you and finally, what you can do about it. 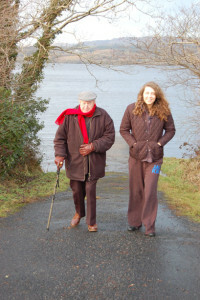 Guilt is one of the emotions to “Let Go” in order to do successful in elder care. Spencer Scott specifically talks about guilt of not being good enough and recommends “lowering your standards” and I agree. People often make the mistake of expecting perfection and allowing that to get in the way of good. In my book I paraphrased D.W. Winnecott by saying, “Good enough elder care is what your parents really need”. I will teach you how to “lower your standards” in the best possible way that will make your experience with elder care the best possible for all. If I have your email I can notify you of upcoming events and calls to help you with this. Welcome to the final post in the 5-part series on how to let go of resentment towards parents during the aging in place process. In parts 1 through 4, you have identified your lost resentments, you have grieved over what you missed from your childhood, you developed compassion for the person your parent truly is and you have forgiven both your parent and yourself. Now you get to reap the benefits. The first step is to take assessment of what any missing thing may have actually done for you. If you never felt that you were good enough to meet your mother’s or father’s expectation (regardless of why they couldn’t give approval to you) that may well have been the impetus for you to get to the level of success that you have. Perhaps your mother’s need for you to be girlie helped you learn a little more about how to care for your home than you might have otherwise anyway. The point to remember here is that whatever your parents may have done for you or not done for you, all the things that happened to you is how you got where you are. Even if you are not exactly where you want to be, you have accomplished things. Most importantly, you now have time to get to know your parent better and in the process learn more about who you are. Those are my 5 steps for how to let go of resentment towards parents. They can be knocked out pretty quickly and do not require years or even weeks of therapy. That does not mean that it might not be good to get some help. There are people in your area who can aid you, but be clear about what it is you want. And of course, you can contact me. Elder care and helping your parents age in place is an adventure and you have now obtained the most basic tools. It’s a trip and I will be there through this blog and in other ways to help you along the way. 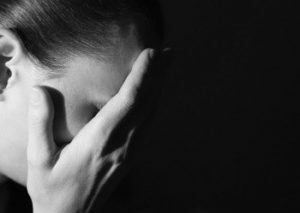 To see all the previous “how to let go of resentment towards parents” posts, here are the links: Part 1, Part 2, Part 3, Part 4. 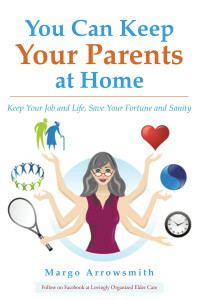 My book, You Can Keep Your Parents At Home is also available for purchase on Amazon. Welcome back. We are almost through the entire process of how to let go of resentment towards parents. At the end of this series is a new appreciation for your parents, for yourself and a better relationship with a happy aging in place experience but first you must just forgive. However, saying that to your mother is unlikely to help much. That would probably make her very confused and in fact may cause other problems, but you can certainly say it to yourself. “Mom I forgive you for not understanding basketball and therefore my passion for it”. You may need to say it a lot. It may need to be a mantra for a little while, but you can learn to say it quietly to yourself. Don’t think that forgiving means that you have to never have any sorrow when you think of your mother not knowing about your shooting stats. With any loss there will always be poignancy, but you are also now clear that mom didn’t do this to hurt you and it cost her something too. Now, in this forgiveness process, don’t forget to forgive yourself. You need to forgive yourself for not being the daughter your mom wanted. Yes, there will be some of that. One of the reasons you resented your mother for not appreciating your basketball skills is because it also made you feel that there was something lacking in you. You weren’t her ideal daughter. My, but people are complicated! Forgive yourself for not meeting living up to her standards and forgive yourself for holding any resentment from your youth. Forgive yourself for not being perfect. When that forgiveness is for both you and Mom you will be more able now to appreciate that you are two grown women who are living in the same house, who can help each other but who will sometimes annoy each other. Most importantly you will be more able to see you and your mom or dad as who they are and love what is there, not worry about what isn’t there. Well, now you have done a lot and now its time to reap the benefits. In the next post we will talk about how to use this knowledge to make a positive relationship. If you missed my previous posts about how to let go of resentment towards parents during the aging in place process, here they are: Part 1, Part 2, Part 3. Welcome to part three of my series that talks about how to let go of resentment towards parents when helping them age in place. So far, in this important first step for aging in place, home care for your elderly parents, you have identified resentments that might get in the way of a happy home and you have grieved the fantasy parent you always secretly hoped you would have. The next step in letting go of resentment is to have compassion for who your parents are and what their struggles cost them. 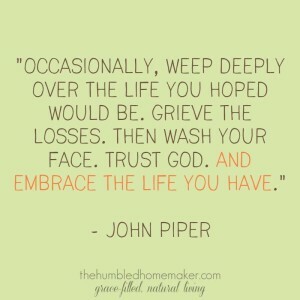 This is a necessary step that completes the mourning process so necessary to letting go. My case was different, but my mother lost out because she couldn’t connect with who I was. She didn’t understand who I was and therefore, just couldn’t have that mother/daughter relationship that she had always wanted. I gave an example in my book, You Can Keep Your Parents At Home (link to purchase), of the night that it hit me how much pain my mother caused herself by not understanding who I was and what she needed to do. That was a huge relief for me and it enabled me to be free to deal with my mother during some difficult times and to be able to enjoy her more when times were good. We are almost there. The next step in letting go of your resentment towards your parents is forgiveness. By this time that It will be easier than you think. If you missed the previous 2 posts here are links to Part 1 and Part 2.